You are so amazing and beautiful. Your blog is great! Looking cute and warm, just how I love it! Lovely sweater. I too like the smell of rain! Thanks for stopping by my blog. Will follow! I love the colors honey. Great outfit. I love the blue and red combo especially paired with the jacket. You look great! thank you so much for visiting and commenting my blog. Love yours as well.I'm your new follower ! Love the beautiful colour combination! That sweater is amazing! oh darling what a great and colourful look! i absolutely love it!! especially the cardigan and the skirt! so gorgous! Oh wow your cardigan is super cute!!! CUTE!! Thanks for dropping by. You have an awesome blog. I'm now following you. hopefully you can keep coming back and return the follow. =). so cute :) love your jacket <3 beli dmn dear? Thanks for your comment!! Love that skirt, it´s amazing!! Following you now!! Do u want to follow me back? 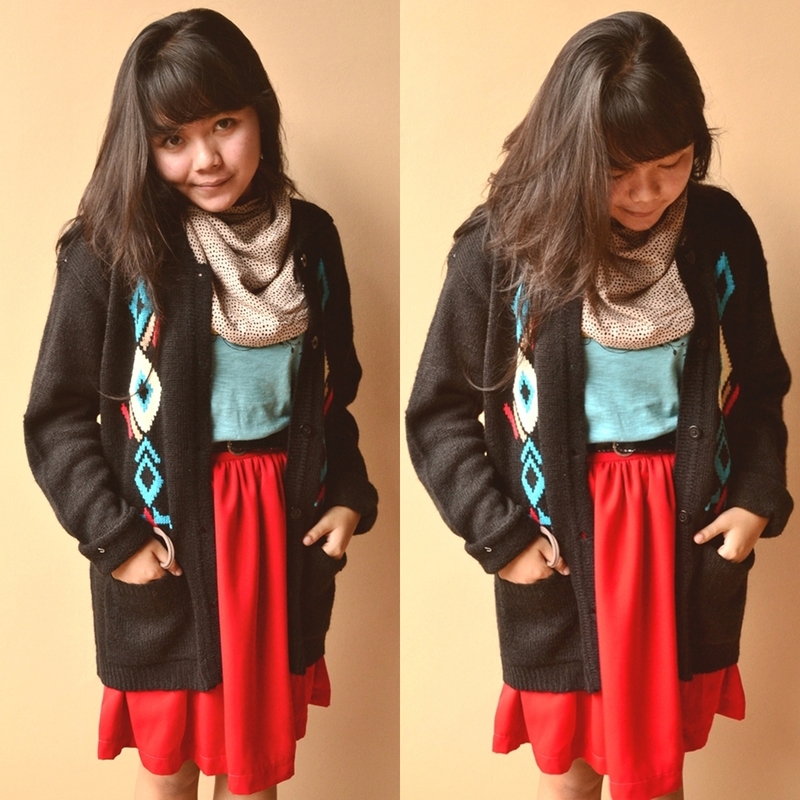 Love your new cardigan and how you styled your whole outfit. Great colors.